Garuda Indonesia began operating the new aircraft Bombardier CRJ1000 NextGen with the first flight from Jakarta to Makassar on Friday 25 Februari 2013. The plane arrived in Sultan Hasanuddin International Airport Makassar at around 11:35 pm, on board the Minister of Transportation Republic of Indonesia Mr E.E. Mangidaan with a group from Jakarta. Bombardier product by Canadian Aircraft manufacturer have a capacity 96 seats consists of 12 seats in business class and 84 seats for economy class. 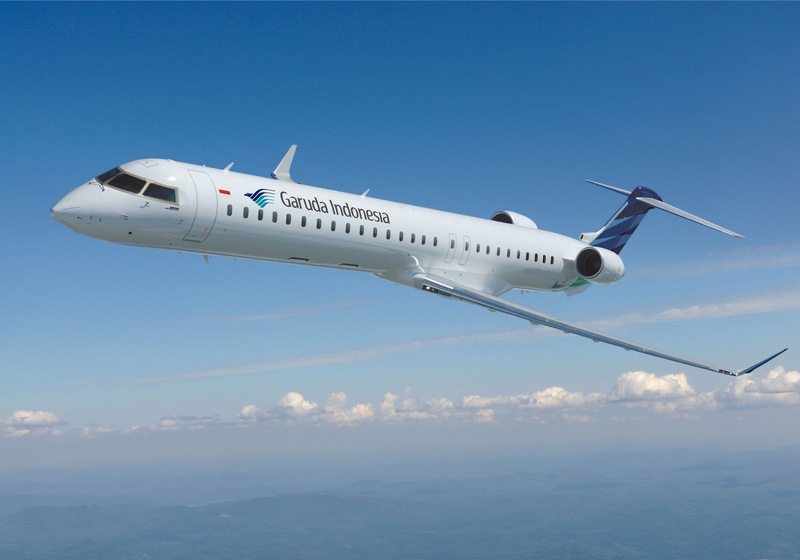 This the first aircraft of 18 aircrafts have been ordered by Garuda Indonesia and will be serve routes Makassar to several cities in Eastern Indonesia, including Makassar-Ternate (return), Makassar-Mataram (return), Makassar-Kendari (return), Makassar, Surabaya (return), and Surabaya-Denpasar (return). On the furthermore, Bombardier CRJ1000 NextGen will be serve other potential cities on Indonesia, like Medan, Balikpapan and Surabaya. By the end of 2012, Garuda Indonesia will receive five aircraft and the remaining seven will be received in 2013. Meanwhile, six other aircraft will arrive in 2014 and 2015 to total 18 aircraft. Previously, Bombardier CRJ1000 NextGen was flown from Canada to Jakarta on October 10, 2012 after the 'Ferry Flight' from the manufacturer.